Want to add a fascinating finish to the walls of your home and stay on-trend with the latest interior designs? Real Painters in Haringey can help you achieve this without efforts and concerns by providing you with a high quality wallpapering service. Our courteous and hard-working technicians will deliver a truly professional wallpapering job that will meet your requirements the first time. We are aware that wallpaper can be highly expensive, so we will make the necessary to get the job done right the first time. Using the correct tools and high quality materials, we will add a fascinating finish to the walls in your room or entire house. We can remove different types of wallpapers and hang new ones in a quick and efficient manner, using the proper tools and materials. 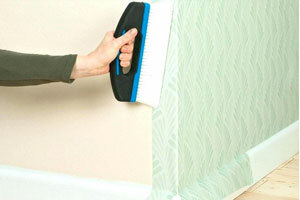 No matter how complicated your wallpaper task seems to you, we can handle it easily and without hassle. After preparing the surfaces for installing wallpaper, our specialists will measure and cut the new coverings to the proper length and then put them around internal and external corners, doors and windows frames, light switches and sockets, and behind radiators. The specialists will not miss an area you want decorated. For further information about how we can be helpful for you with our wallpapering services in Haringey, call 020 3026 9530 or complete the online booking form on the site. Our office representatives will give you more details regarding our work or help you make a booking.